Records Management Network - Join Us! 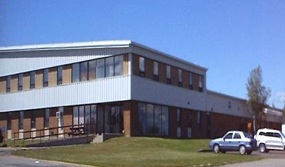 The Provincial Archives' Corporate Information Management Unit is responsible for the government-wide records management program under the Archives Act. We provide central records management services and support to departments, crown corporations, municipalities and other public bodies within the government of New Brunswick. The Corporate IM Strategists provide advice and assistance to all government organizations in the management of their information resources. Provincial government organizations must manage their records according to corporate standards, guidelines and policies to support the delivery of their programs and services. The Corporate IM Strategists are equipped to provide assistance and guidance regarding the development of retention and disposition schedules and file plans, advice in the conversion of traditional records to new formats (digital images, microfilm) and in applying new technology to the management of records and information (e.g. electronic records and information management systems). The Corporate IM Strategists are also responsible for developing corporate records and information management policies, procedures, guidelines and standards. For more information see our Standards and Guidelines page. The Corporate Information Management Unit provides training in managing government records and information through consultations, regular workshops, and multi-day courses. For more information see our Training page. identifying archival and records management issues at the beginning of the information life cycle.